The Budget SLP: How Large are Your Apps? Apple’s App Store has over 650,000 apps. 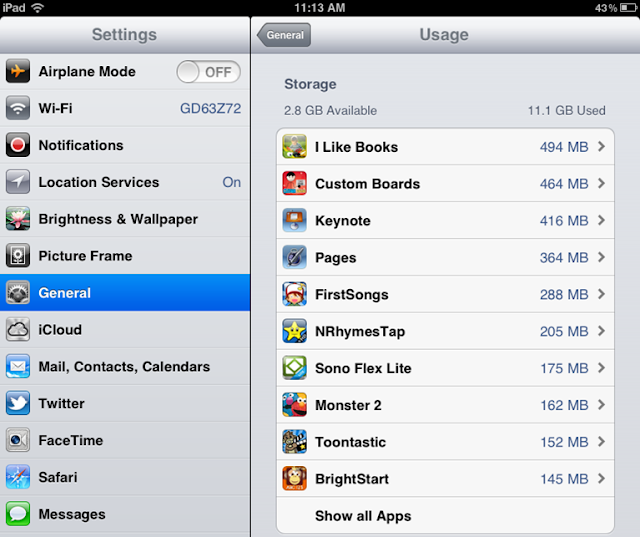 An iPad 2 can hold 11 pages of Apps and/or folders including the built-in apps. If you have a 16GB iPad, some space will be taken up by the built-in apps and the operating system. You will actually have slightly less than 14 GB for app, photo, and video storage. It may take a few seconds for the list to appear. Tap on Show all Apps to see all of your apps and the amount of storage that each uses. 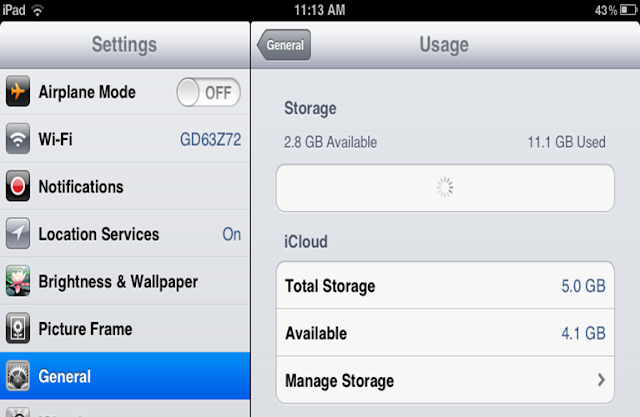 The the amount of storage used by the videos or music will appear above the apps. 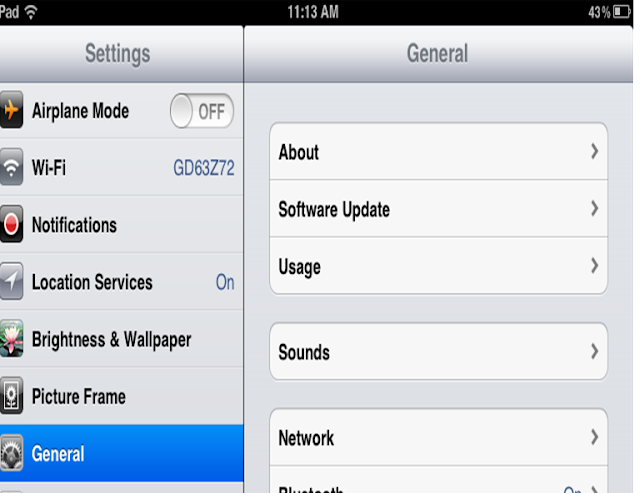 If you need space to download apps or other items, delete the apps (movies, music, etc.) that you don't currently need (e.g., Halloween apps are only used in October). You may delete them from your iPad, but won't be deleting them from your account. When needed, you can always go to the App Store, tap on Purchased, and put that app back on your iPad.